In 2018, we will be present at some trade shows to show you our extensive range of qualitative maintenance-free batteries. 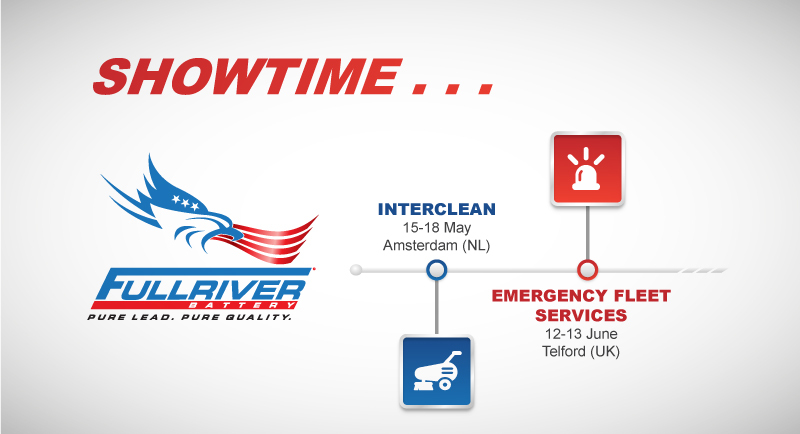 We start in May with the biennial event for the European cleaning market: Interclean Amsterdam. You can find us in Hall 1, Booth 114. Be sure to drop by as we have some energetic novelties for you ! For all practical info, visit the Interclean website. In June, we cross the channel to exhibit at the NAPFM Emergency Fleet Exhibition in Telford, one of the largest emergency service fleet events in Europe. Needless to say, this is an application where quality and reliability count ! So a perfect fit for our batteries. Booth N°68 is where we are. For all the details about the venue and timing, visit the NAPFM event website. Want to join us on one of these show. Mail us and we will guide you in !